Aside from Texas, southeastern Arizona is the richest in bird species diversity in the United States. If you live in this region, you should become a birdwatcher! The United States has over 800 species of birds that can be found at some point during the year. Some are permanent residents, and others are migrants. Southeastern Arizona has over 400 of these species! That is about half the number for the entire country. The rest of Arizona has another 200 species. If you love birding, you would do well to live in the southern part of the state, and if you have money to travel relatively short distances, so much the better. They have some very different unusual birds at Lake Havasu. That's the place where they reassembled the London Bridge, if you may recall. It's sort of in the northwest corner of the state, but south of the Grand Canyon. Texas has some birds simply because a portion of it extends south into Mexico, further south than any other part of the United States. Arizona also gets some of these birds, and our diversity is driven in part by the fact that between the desert floor and the tops of our sky islands (mountains), we have seven of the eight world climate regions! 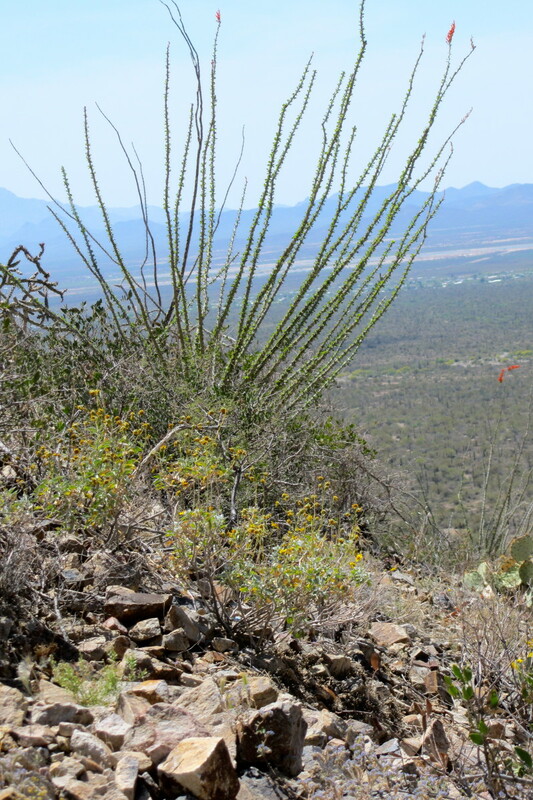 In this article, I will talk about the major birding areas of southeastern Arizona, and tell you where they are located, describe the conditions, and discuss what kind of species you are likely to find and why. And why should you become a birdwatcher? Because it is a healthy and wholesome activity that increases mental well being, physical health, through hiking and being in the outdoors, causes people to appreciate the beauty God created for us, and has great spiritual benefits. It also increases your knowledge and helps the health of your brain. 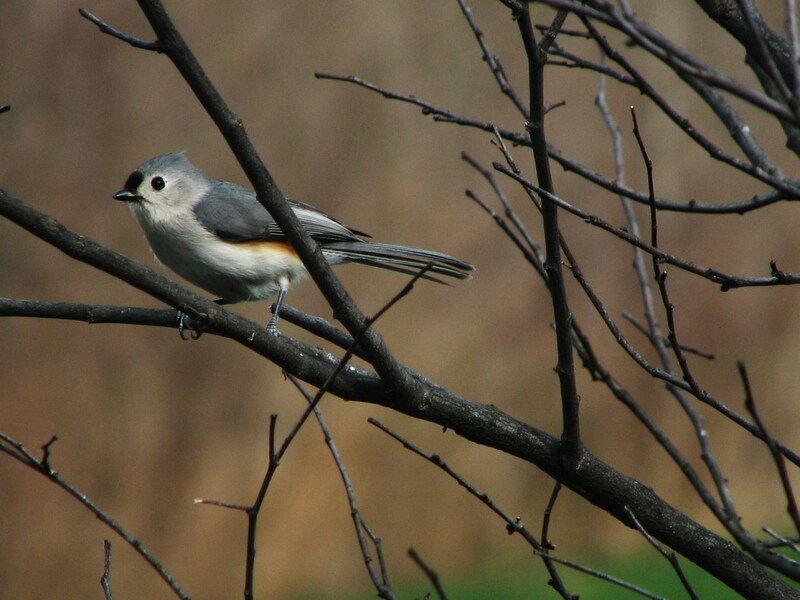 A birdwatcher is known as a "birder" among those of us who pursue this wonderful activity. Birdwatching also helps keep children out of trouble, providing them with a good use for their energies and interest. Unfortunately, in writing this, I learned something. I learned that I can't put TOO many Google maps in a single article. So the last few tell you to go to Australia. My apologies. I'll fix that when I can. In the meantime, enjoy the maps that work. All photos mine. This photo is a Marbled Godwit. I didn't find him at any of the locations I am about to discuss, however. He is just a gorgeous bird, and very rare throughout most of the United States. I think this particular one was seen by maybe two people before he took off for parts unknown. 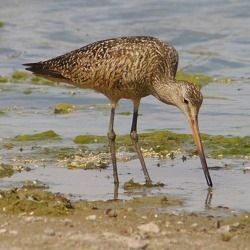 In case you are wondering why he's called a Godwit, just listen to his call. That's what he SAYS. It is common for birds to be named after the sound they make. To my mind, Sweetwater Wetlands, just west of Tucson, is the first and most important location for locating good birds. It was formed when the water company designed ponds for the purpose of recharging the groundwater with processed wastewater from Tucson. There are two sizes of ponds. The larger ones are quite large, and can accommodate hundreds if not thousands of water birds, which they do in winter. They are flat and held in by dirt berms, with no landscaping. Unfortunately, getting more than a distant view of these is difficult. However, if you have good binoculars, or a good scope, or a large telephoto lens, you can see and identify species that are not hidden behind the nearest berm, throughout these ponds. This is where you will see most of the shorebirds. The shorebirds most often seen are Killdeer, Black-necked Stilts, White-faced Ibis, and American Avocets. Other shorebirds are less frequent visitors. Most of the birds you will see there are various species of ducks, particularly Northern Shovelers, Mallards, American Wigeons, the three species of Teals, and a few Pintails. Occasional Red-winged Blackbirds and several species of doves who stop by to get a refreshing drink round out the species that visit these. Once in a great while, you will see a Great Egret or a Great Blue Heron there, and one year, I saw a Great Blue Heron nesting in a tree on the far side. There are also four smaller ponds, with some "side ponds" formed by islands and other features. These are landscaped with trees and other types of vegetation and provide hiding places for the birds. Many ducks will climb up onto the islands in the middle of each pond to rest and hide. In addition to ducks and the occasional shorebird, you will see Pied-billed Grebes, and you will hear Soras. You will occasionally see Soras and Common Yellowthroats, as well as the frequent American Coots and Common Gallinules. In certain seasons, you will observe up to four species of swallows flying overhead, sometimes catching bugs on the wing, and sometimes diving down and dipping in the water for a tiny morsel. Egrets and Herons are more likely to be found here. A Black-crowned Night Heron often sits in a specific tree near one of these, and I have seen Green Herons, but not this year. In addition, you will observe various raptors, including Harris's Hawks, Cooper's Hawks, and Red-tailed Hawks. Great Horned Owls sometimes raise young in a nest in a tall sycamore across the street. Feeding all of the smaller ponds is a stream known as Hidden Pond. This is close to the entrance. Here is where you are most likely to find various kind of warblers and sparrows, as well as goldfinches and House Finches. You will also see warblers and sparrows elsewhere, but this is where they tend to congregate. Sweetwater Wetlands has a bird list of 298 species! Roger Road ponds are across the street. They have different species from Sweetwater. They are presently closed, but they will be re-opened. This is THE essential resource for those who want to know where the birding hotspots are in southeastern Arizona! They'll tell you everything you need and want to know and more. Periodically they come out with new editions covering yet more spots. An essential reference for me. 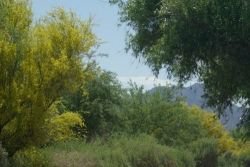 Gilbert is technically part of the central Arizona birding region, but I am including it because it is close, and it should be discussed alongside Sweetwater Wetlands. It is a very similar place, with similar species. It also has landscaping. 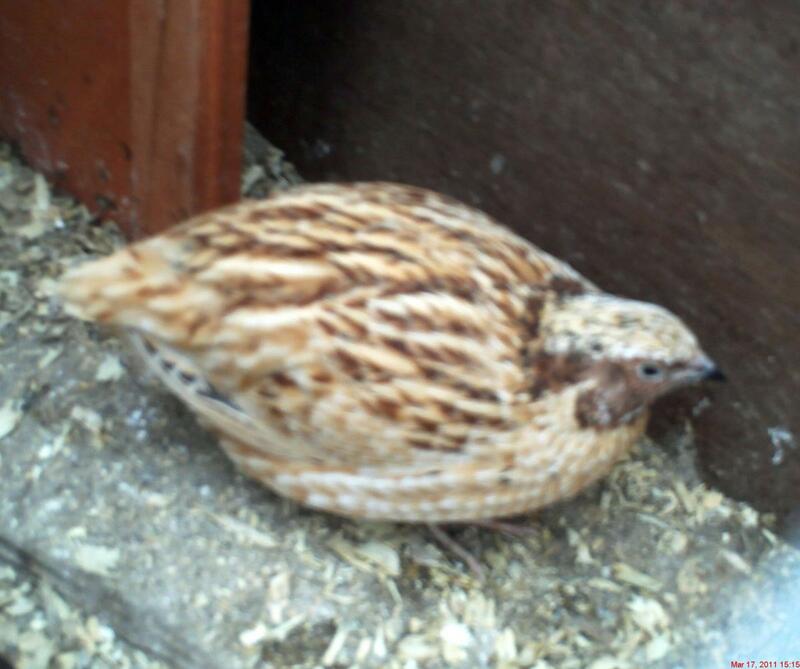 A real rarity, a bird thought to be extinct, showed up there a couple of years ago in December. Nobody really knows why the Baikal Teal appeared, and he stayed a couple of weeks. His presence brought birders from all over the United States and elsewhere. Baikal Teals normally summer in Siberia and winter in Viet Nam and other nations close by. Gilbert Water Ranch has a number of ponds, which are larger than the ones at Sweetwater. Like the larger ponds at Sweetwater, these are allowed to dry out to keep algae at the minimum, so where you find the birds may change from one day to the next. The smaller ponds at Sweetwater are kept in water all the time, but none at Gilbert are. The Water Ranch also sports a great diversity, but I don't know how many would be on its bird list. I've never seen one. It has the advantage over Sweetwater that it is possible to get closer to the birds at times, and there are a few blinds here and there, which is helpful. You can also walk between shore vegetation to get right down to the water in a number of places. 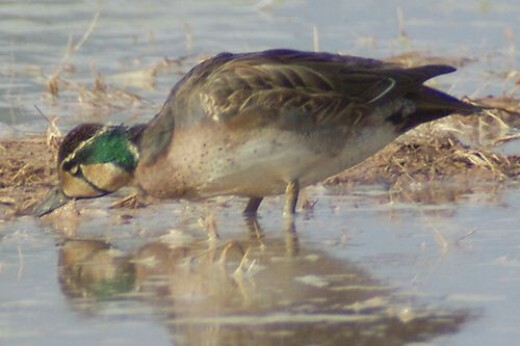 This is the Baikal Teal, the rare bird I mentioned. When I went to look for him, I met a man walking toward the entrance, and I asked him, "Where is the Baikal Teal?" He said, go down this trail and look for the photographers. That worked. So later when I was leaving, I met a man who asked me, "Where is the Baikal Teal?" So I told him, "Go down this trail and look for the photographers." Works every time, doesn't it? The best birding just outside of southeastern Arizona. Madera Canyon gets a number of species from Mexico that do not go any further north than that, and like the mountain habitat. For quite a number of years, this was THE place to go to see the Elegant Trogon, a species every serious birder wants to see. In recent years, trogons can be seen elsewhere in Arizona's mountains. This includes the Huachuca Mountains and the Chiracahuas. This year, some were found in the Patagonia Mountains. There are rumors that a Quetzal appeared in the area, but apparently he either didn't stay long, or it was just that: rumors. There are numerous other species that appear in Madera Canyon, which has several locations where people feed the birds. This includes at least a half dozen species of hummingbird, and other mountain birds. Among the noisiest are the Mexican Jays, which are everywhere. Black-headed Grosbeaks, several species of Woodpeckers, and others round out the scene. In nearby Florida Canyon, people have located Rufous-capped Warblers several years running. They appear to be residents, and are now being found in a few other places. I have yet to see one, though I've heard them more than once. The hike up to the area they stay is not as trivial as most other hikes. Montosa Canyon contains a road that goes up the mountain to an astronomical observatory. Other species can be found there that are not found elsewhere in the Santa Ritas. On the other side of the Santa Ritas is Patagonia, which includes Patagonia Lake, the Patons' bird sanctuary, a sanctuary run by the Nature Conservancy, and other good places. The picture is Mount Baldy in winter (not much snow that year). Madera Canyon. Some of the best birds are found only by hiking up the Carrie Nation Trail, up to a mile, which starts at the end of the road to the upper right (as you enter) of the large parking lot. Others are found elsewhere, including Santa Rita Lodge, Madera Kubo, and Chuparosa Inn. 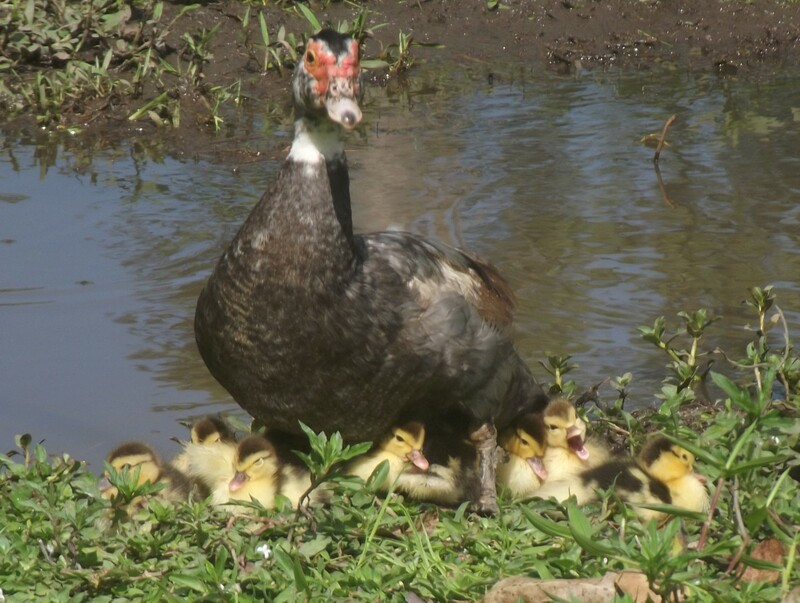 More good birding spots are located at each parking lot, and at the Bog Springs camping grounds. Proctor road is a right turn just before you enter the canyon. Watch closely for the sign. There is a trail running from Proctor Road on up along the creek, way up there (I don't know how far it goes, but there are a lot of birds all along the way. This is a left turn onto a dirt road from the road to Madera Canyon, just before the road to Madera Canyon bends right and before the single lane bridges. After going on the dirt road, take the right hand road at the fork and travel to the end. Careful going over the top of the hill where there are trees visible, the road goes across the creek at an angle to the right, and if you go straight, you will end up in the creek, and you'll get stuck there. The parking lot before the locked gate at the work station is where the trail begins. The trail starts to the left, and once you reach the gate, you will want to take the right-hand trail on the other side. After passing the large water tank, go until you find a difficult place where you cross the creek. If you go left, the trail is very steep in loose dirt and difficult to climb if you are not super-athletic. The right trail will go up to the dam with a rock to the right that is easy rock-climbing with footrests. Above this, resume following the trail until you get to the latest place the Rufous-capped Warblers have been found. Check with local birders as to exact location. When you see the odd-looking faceted mirror telescopes, you are in the right place. Keep driving the main road until you cross a concrete-paved creek crossing. Park on the side of the road. The birding is best right in that area, though I think people often go on up the road. There is camping in the area. It's a good place to hear Canyon Wrens, and because of the walls, they will be loud, though barely visible, if at all. The town of Willcox is closer to the eastern border of Arizona, about 80 miles away from Tucson. Cochise Lake is home to more water species, including shorebirds and ducks. Some rare species not seen anywhere else also show up here, along with Sandhill Cranes. Most of the Sandhill Cranes winter at Whitewater Draw, and a few can be found at the Apache Station Wildlife Refuge. Approximately 30,000 Sandhill Cranes make this region their home in winter. They can be an impressive sight! Whitewater Draw is south of Willcox, approximately. It was recently given the designation of Important Birding Area (if I remember that correctly) or IBA. It is a beautiful drive, though somewhat lengthy, if you like stark desert scenery. Please remember that in Arizona, desert does NOT mean sand dunes and no vegetation. There is ALWAYS vegetation. In the starker areas, the bushes are simply smaller. Some areas have cactus and some don't. Whitewater Draw has a couple of large ponds that are kept filled with ground water through a pump. When the pump is not in good repair, the water level drops. Ducks and shorebirds are common there, and one will find the occasional American Bittern and other interesting species. 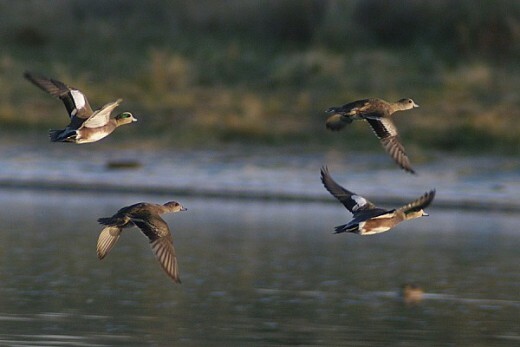 The photo is four American Wigeons flying over Cochise Lake. The turnoff to the road leading to the lake (with a smaller lake) is a little obscure. Look for a worn pale green sign that tells you where to turn for the golf course. If you are coming from the west, get off at the first exit to Willcox, and turn right at the first traffic light, and you'll see this sign on the right. A wild place with a viewing platform where you can see Sandhill Cranes. The red marker is actually the power station. The turnoff to the wildlife area is a little north of that, a right turn. It's a little hard to see, but I found it for the first time by driving back and forth. It's a dirt road and does have a sign. Where to find Sandhill Cranes in winter. Patagonia is a very small town (less than 1000 inhabitants by a fair amount) that is only otherwise noted for its occasional street fairs. Some artists live there. The main attraction there is the Patons' residence, which for many years was occupied by the senior family members. They maintained feeders for hummingbirds and passerines (songbirds). One year they had a Plain-capped Starthroat. Other common hummers seen there include Broad-billed, Rufous, Black-chinned, and Violet-crowned. You may see some common desert species as well as some that are more choosy as to location, such as Lazuli Buntings. I saw my first Green-tailed Towhee there. After awhile, the senior Patons moved out, and the property was now owned by the children, and managed by volunteers. The children eventually needed to sell, and at that point, the Tucson Audubon Society organized a fund drive and raised enough money to buy the property. They are maintaining it. Patagonia-Sonoita Creek Preserve is run by Nature Conservancy. It is simply a wild area where you can see a lot of different and interesting birds. I saw my first Lark Sparrows there. Beautiful birds! They charge $5 admission. Places run by individuals operate through donations. $5 is the customary donation in most places. Patons' takes donations. Patagonia Lake is a lake large enough for boating and fishing. It is home to water birds, with some which prefer the area next to the dam, where the water is shallow. The boats disturb the birds, which makes birding there more difficult, but the birds still come. You just have to be more patient. On the eastern end is an area that is full of trees, a real bosque. Cattle are allowed to graze there. Between the cattle and the small swamps, it's a completely different habitat, with its own Trogon, the only one I am aware of that is NOT high in a mountain someplace. This is a very good demonstration of what can happen to reclaim the land when you allow cattle to graze. It is cool, green, and full of wonderful trees. There is a more hefty admission fee for this area. Between Patagonia and Patagonia Lake is a roadside rest area noted for its Thick-billed Kingbirds. Although you can find these elsewhere at times, this is THE place to go if you want to see this species. There are some trails, and some other species as well. One picnic table might as well be called the Magic Picnic Table, because from there you are likely to see the Kingbirds. That's where I saw them. 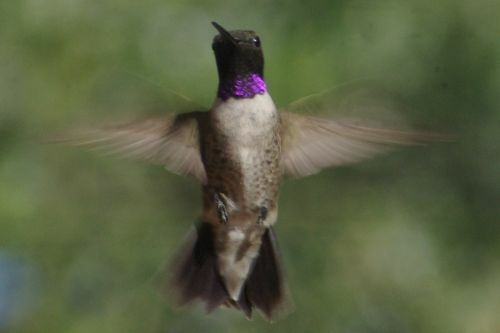 The picture is a Black-chinned Hummingbird. I see them at Patons' and in Hereford and the Huachuca Mountains. Owned and run by Nature Conservancy, a large and beautiful area with many wonderful plants, animals, and birds. I can't get Google to pinpoint the Patons' place. In order to get to Nature Conservancy, you have to go southwest along Pennsylvania until it crosses the wash, at which point it turns into Blue Haven. Patons' place is to the left right after you cross the wash. Their property borders the wash, and there are trees in between, so when you go past the trees, you will see a parking lot big enough to hold about three cars. That's Patons'. One thing I have learned is that you can't put the person on the ground on a dirt road, at least not any dirt road I have ever tried. That kept me from finding the house number. But even once I learned what the house number was, I still couldn't get Google to pinpoint it. Do you suppose there are still really wild places, even in the United States, where Google hasn't intruded yet, except by satellite? Must be! It's good birding over the entire area. The special birding area is a right turn after you drive past the gatehouse. Drive to the end, where all the motor home campgrounds are located, and park in one of the four parking spots at the opposite end of the loop from the fork. The trail starts right there. At times, there are temporary bridges to cross the creek, and other times not. There is a bit of a challenge at the beginning of the trail: steps and a narrow gate. But someone got a wheelchair past that point. I don't know how he did it, but he was at the bottom, and had a picture of the Trogon. I heard it, but never saw it. Do you like to watch birds? The de Anza Trail is between Tubac and Tumacacori. You have to park on one end or the other, just off the "highway" but not in a residential area, and it's a hike after that. One time I went from the bridge road in Tubac all the way to Clark Crossing. Round trip is about 5 miles. It's an easy hike. The main attraction there has been the Sinaloa Wren. There was one here and one in Huachuca Canyon. It's beautiful, shady, and when there's water, even more wonderful. I am not concerned about going there. Further south, you get into area where there tends to be a lot of illegal immigrant activity. Some people will go there, but I won't. For that reason, I cannot give you any real information about birding there. Local birders can tell you more, and there is plenty of information in the Guide I listed above. I also have been to Arivaca Cienega. I think that is probably reasonably safe. This is another riparian area, near Arivaca, and it is fenced, and there is a trail I understand is a loop about a mile long. There are lots of little areas where you can find different kinds of birds, with water and that sort of thing. In the middle of the loop is shade trees, and also at the beginning and end. The water vegetation is also interesting. I haven't been either location very often, so I can't really describe the diversity of birds. You are liable to find almost anything. It's worth exploring. The picture is a view from the de Anza Trail. It's largely woods, so you can't really see the mountains, but you get glimpses of them here and there. Take the exit at Tubac and drive along the frontage road on the east. It is easier to point you to Clark Crossing, which is the midpoint between Bridge Road to the north, where it crosses the Santa Rita River, and Santa Gertrudis Lane to the south. From here, scroll the map north and south to find the endpoints. The endpoints are right next to the river, and you can see it most clearly because the river is thickly lined with trees. 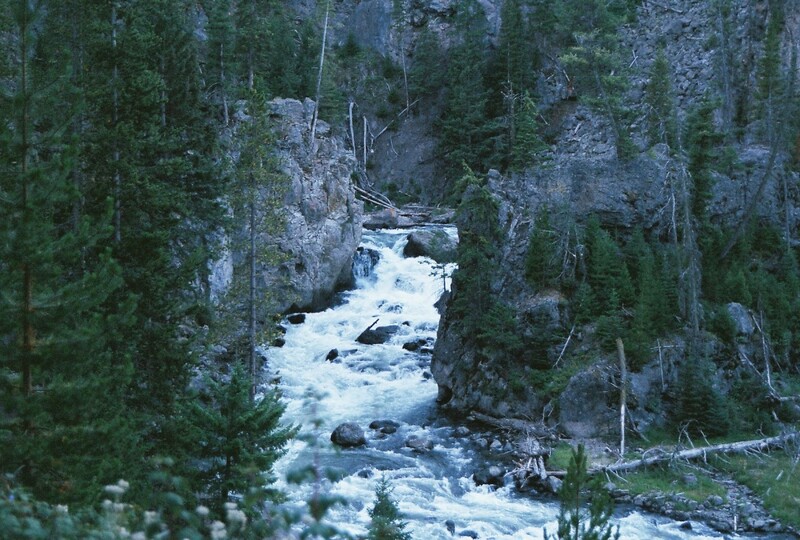 The trail is to the WEST of the river, so do not cross the river looking for it. I couldn't figure out a way to pinpoint Arivaca Cienega. If you travel along I-19 and get off at the exit to Arivaca, then the turnoff is BEFORE you reach the town. You will see a few houses. If you follow the road and it turns sharply right, you just missed the turnoff. The marker is in the town of Arivaca. The instructions in the Guide say that once you get on the road to Arivaca, you should drive about 23 miles, and look for a turnoff to the left with a sign, that points to Buenos Aires NWR. The dirt road leads quickly to a parking lot. There is good birding in other locations in Buenos Aires, which is actually quite extensive, along Arivaca Creek, and at Arivaca Lake. But the best birding is in the Cienega. The word "cienega" means "swamp" in Spanish, and it has swamps! Yep, in the middle of the desert! For the life of me, I don't understand why so many of my maps are displaying Sidney Australia instead of the place I set them for. I'm reporting the problem. Bear with me. Let me know if you are having problems with my Google maps focusing on Sydney instead of the place I have chosen. The more information I have about this problem, the better. Thanks! 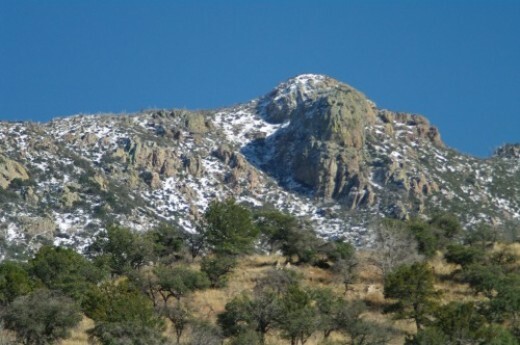 The Huachuca Mountains are located next to Fort Huachuca and Sierra Vista. Some of the canyons that are good for birding can only be reached through the fort. Birders are allowed in, but in order to go in, you must either be an American citizen, or you must be accompanied by one of their MPs. They require identification out the yin-yang. (In other words, driver's license, car registration, and they talk to you to find out your status.) Once you are past the gate, you may drive around freely, but if they catch you using a cell phone, they'll throw the book at you. The only canyon I've been in is Huachuca Canyon. It's an interesting and promising place, although I didn't see much in the middle of the day. It is not uncommon for them to close the canyons when there is a threat of fire. When I was finished birding in Huachuca Canyon, I got lost, driving back to the gate, but I didn't get into trouble. There are many places outside of the fort, however, where you can also get some good birding. There are places on the west side of the Huachucas, but I haven't been to any of those places. On the east side, there's Ramsey Canyon (another Nature Conservancy property, closed Tuesdays and Wednesdays), Carr Canyon, and Miller Canyon. I have only been in Miller Canyon. The designated endangered species Spotted Owl nests there. Down the trail a bit is Beatty's Guest Ranch. They cater to hummingbirds, and have some species not often seen anywhere eise: White-eared, Berylline, and more commonly seen Magnificent, along with some of the more common species. Their arrangement for viewing is very nice, with a shady area with benches and lots of seating. The only real problem is that it's a bit dark under the trees where they keep the feeders, for photography purposes. But the hummers get quite close. The Beattys also have an apple orchard, which used to have 3100 trees before the nasty Monument Fire, and now only has a couple hundred, as they recover from this disaster. They raise organic apples and produce free range chickens and sell their eggs. They have a small pond with water lilies, very pretty. If you are willing to observe the rules, you can get a personal guide to take you to the Spotted Owls area. I tried to make a map for you, but Google won't cooperate. If you go to Google Maps directly, and put in "Beattys Guest Ranch Hereford AZ" they'll show you exactly where it is. But when I plug it in here, it gives you some totally bogus location. Go figure! Beattys offer lodging, and you can buy their produce and eggs in their little store. You can cook, but they don't serve prepared food. They have one very nice large upper suite that has WIFI access, and two small cabins that are totally off the land: solar power, composting toiled inside that absolutely no odor at all! I think there is at least one or two more available rooms. In nearby Hereford are two other excellent places for birding. Ash Canyon Bed and Breakfast specializes in hummingbirds, and Mary Jo is setting up a very nice area for other birds with a pond under development. The most common rare hummingbird there is Lucifer's. Battiste's Bed Breakfast and Birds has a highly landscaped and beautiful birding area with natural features set up so that the seeds and other food for the birds are not readily visible, and with lots of pretty rocks and vegetation around. There is a blind, where you can get really close to the birds. He charges quite a bit more money for that, though, so be prepared. He also has an Elf Owl in season, who lives in a hole in a tall electric power pole made of wood. 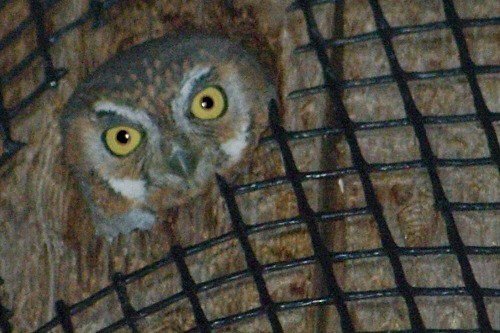 The Elf Owl pictured here lives on the Battiste's property. The Battistes offer day birding, and also have guest accommodations for people from out of town. He has a few hummingbirds, and more birds of many other kinds. Call in advance. 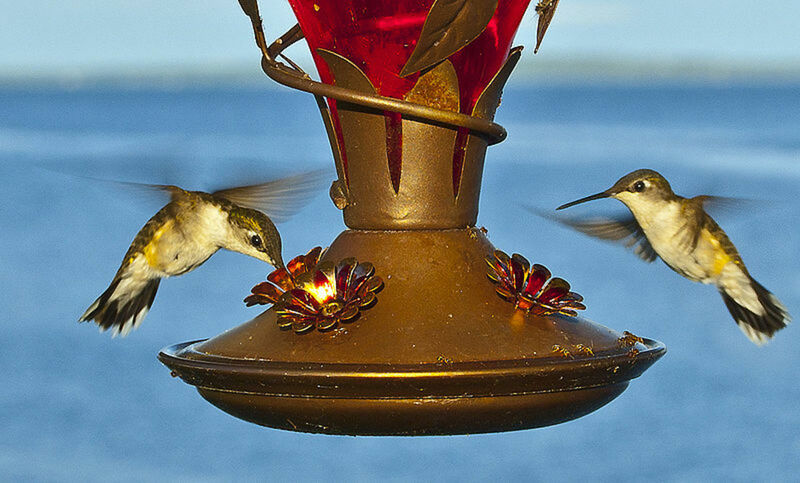 Day birding and overnight accommodations are available. This is a very good place to find all sorts of yard birds. The marker is actually to the east of her property. Go to the end of the road, where there is a gate. The parking is to the right. The parking lot and the large house on the map are on her property. The best place for hummingbirds is between the house and the parking, and the best place for other birds is to the west of the house. She requires a donation of $5. Mount Lemmon is the highest peak in the Santa Catalina Mountains. A 25 mile long road goes from the bottom to Summerhaven. Summerhaven is a little town, in a valley close to the top, a very charming place. Nearby is Ski Valley that offers skiing when there is enough snow (which isn't every winter by any means). It has a ski lift and a very good restaurant with a balcony where you can sit and watch the birds. They feed the hummers. Other birds, such as Yellow-eyed Juncos, are so tame they'll hop right down on the floor by you looking for a tasty crumb. As a human, I think their food is tasty, too. And from another direction, Sabino Canyon. It would take a book to do all of these locations justice, and each of them has a different collection of birds. In addition, they have a lot of interesting wildlife (including bears and skunks), and trees and wildflowers. 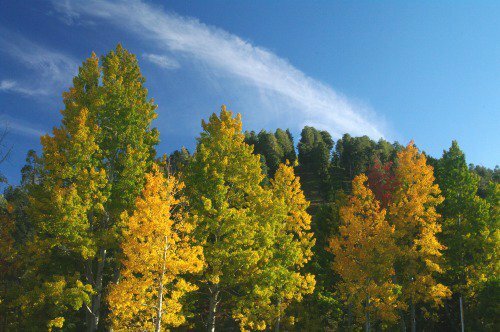 These are fall colors in Ski Valley near the summit of Mount Lemmon. It would be impossible to show you all the different places to bird here. Just zoom in, follow the road, and you'll find them. There are good birding spots within the town of Summerhaven, so I will settle there. Notice that the Evergreen Sod Farm is almost under the marker. Because of the wet conditions and green grass, this area gets more of a variety of birds. This large area of very flat land that is part untamed desert, part farmland. They raise cotton, corn, and things like that (I suppose there are all kinds of GMO plants in there, but it doesn't seem to bother the birds--yet). There are some birds that show up there that don't anyplace else. I am thinking particularly of Crested Caracaras. I haven't seen them anyplace else. There are also some raptors I usually don't see anyplace else, either, as well as some other birds. Horned Larks, Mountain Plovers (which I have yet to see), and others. And toward evening, I often see up to a thousand blackbirds. I might see hundreds elsewhere, but this is many times that amount. They line up on the power lines for the night. They love to raid the cornfields, and I'm sure the farmers hate them. It is common to see a Red-tailed Hawk sitting atop every third or fourth power pole. I imagine blackbirds make good eating. I've seen Red-winged Blackbirds and Brewer's Blackbirds. Santa Cruz Flats are located north (roughly) of Picacho Peak. 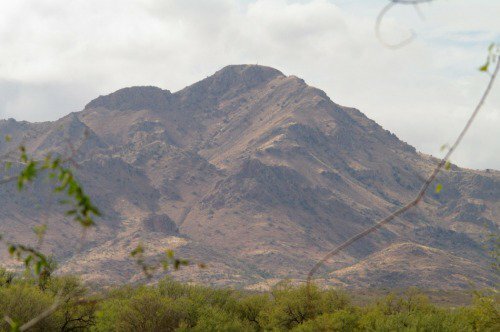 Picacho Peak is the site of the westernmost battle in the Civil War. I have never tried birding right in the park there, though they often have some pretty spectacular wildflower displays, if there has been enough winter rain. There is a challenging trail to the top there as well. I hiked up to the saddle, and decided that was enough. Not far from Santa Cruz Flats are the water processing lakes for the town of Picacho. I visited there and the most interesting thing I saw was a Greater Roadrunner. That's a pretty good find. Although they are desert birds, and supposedly common, I don't see them that often. As usual, he was running along the road! I have also seen one occasionally in the Santa Cruz Flats area. My favorite place to bird is along Pretzer Road, particularly at the Evergreen Sod Farm at Pretzer and Tweedy. This is an area where the distances are too great to walk, so you bird from a car. This is called Safari Birding. I can stay in my car and shoot with my huge lens and get birds way out there! Picacho Highway goes south. It always FEELS like I'm going west. When I turn right on Pretzer, it always FEELS like I am going north when I am really going west. You might experience the same thing. Well, I've talked about a number of good places. There are many more, but this has gotten long enough I'm tying Google up into knots, so I think I'd best end it for now. Maybe if Google discovers it has more brawn, I'll add more, or maybe I'll just write another article. Or, if you like, throw brickbats at me. Where have you watched birds? - Or did you just enjoy reading this?